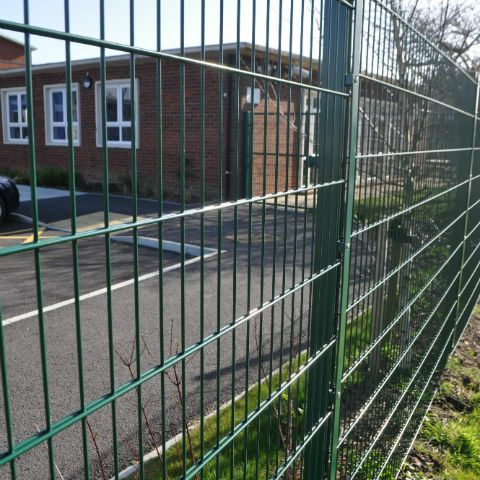 The Protek 868 mesh fence system provides a very versatile mesh fence that is stronger than the Protek single wire systems. 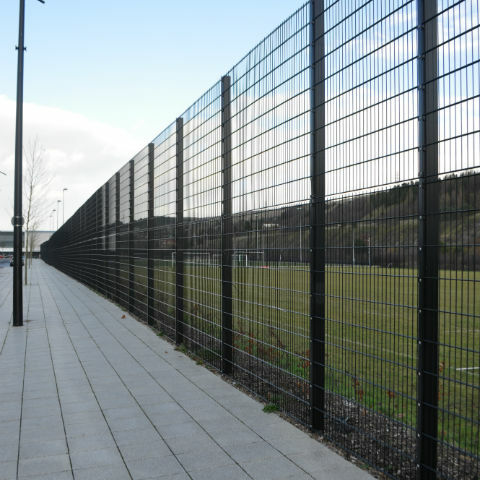 The Protek 868 Clamp fencing offers a number of different applications including industrial estates, retail parks, industrial buildings, playgrounds and is also particularly suitable for use around sport enclosures. This is a flat panel system using twin horizontal wires 8mm in diameter, welded to a 6mm vertical wire. The posts and clips provide a fixing system which secures the panels but allows for variations. The system is easy to install and allows the panels to be stepped, helping the fence line to follow the contours of the ground. 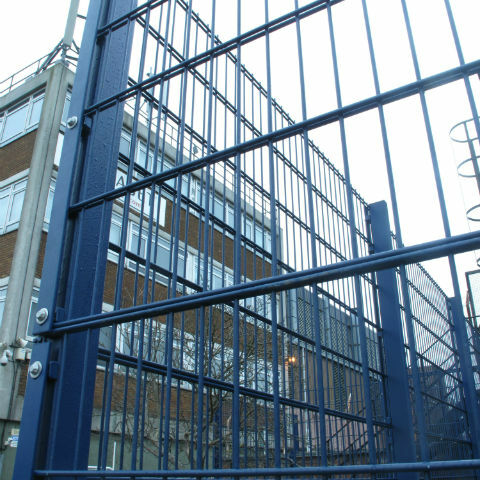 With the vandal resistant security fixings this post and clip system provides a reasonable level of security.